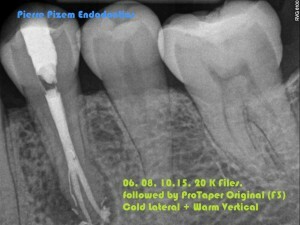 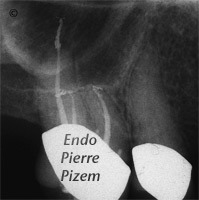 Preoperative X ray image shows a complete root canal system obliteration. 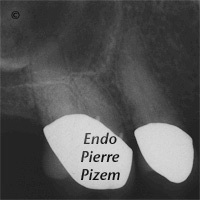 Dystrophic calcifications in the pulp chamber were almost completely obliterating the three canal entries. 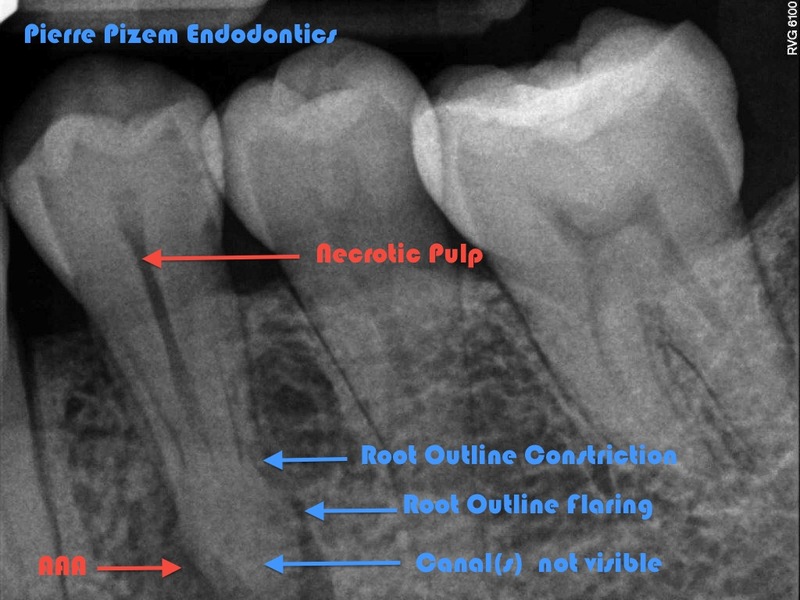 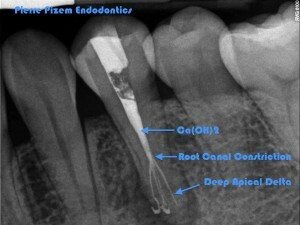 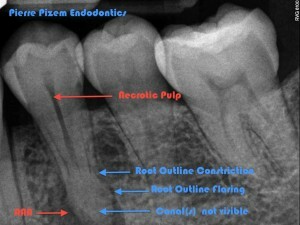 Crown also made endodontic therapy very challenging because of coronal radicular access difficulties. 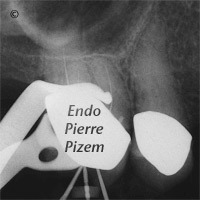 Endodontic K files starting from number 06 iso from Maillefer were useful for chaping and cleaning root canals. Gutta percha and Pulp Canal Sealer were chosen for root canal filling.